Rina's Rainbow: The Voice of the Philippines Season 2 Winner Receives Brother 1 Million Business Package! The Voice of the Philippines Season 2 Winner Receives Brother 1 Million Business Package! When it comes to singing, I have no doubt in the talent of Filipinos. And it has been proven ever since I can remember. On the top of my head, Lea Salonga, a big name in broadway and is also the first ever Filipina Disney Princess singing voice, Arnel Pineda, the lead vocals of the international band The Journey, and a lot more other normal citizens like us who are being flown to be a guest at The Ellen Degeneres Show. Photo from Brother International Philippines Corp.
Another amazing talent is the Grand Winner of The Voice of the Philippines Season 2 Jason Dy who won and received a Php1-million business package from The Voice major sponsor Brother International Philippines Corporation (Brother Philippines). With this exciting package, Jason can start his own business with the wide roster of Brothers Philippines products at hand. Imagine all the things he can do! Brothers Philippines is a premier provider in imaging, printing, multi-function centers for offices as well as homes. And they've been here ever since I can remember, true to their slogan, "at your side". And now, they are also the Official Multi-function Printer of The Voice of the Philippines Season 2. Like us, they believe in the Filipino's unbelievable talent and creativity. And sponsoring The Voice of the Philippines Season 2, they are aiding in uplifting the Filipinos' abilities to reach their dreams of being a star. "Through the Brother business package, we want to make a lasting impact on the life of the grand winner while echoing that The Voice of the Philippines is a competition where the contestants’ voice is the only thing they need to start a better life, and yes, an exciting new business." 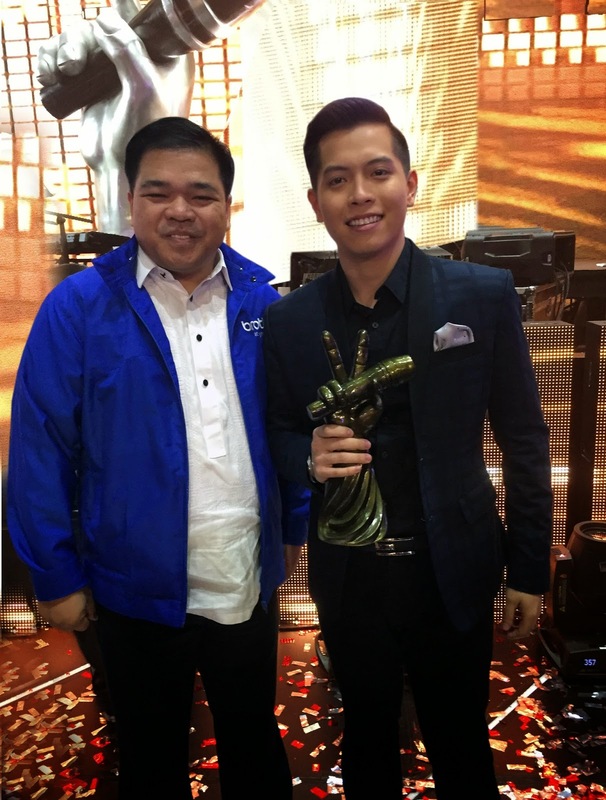 Congratulations once again to Jason Dy!! !